Your business is important to you, so it goes without saying that you’re going to take good care of it. You have to focus on growth, service, retaining customers, and operations. However, when is the last time you thought about your roof? Roofing is often taken for granted until something goes wrong, but that can cost you big time. Roofing that isn’t working properly can flood your building, damage your inventory, result in costly repairs, and cause an expensive energy bill. To help you stay prepared, here are the most common commercial roofing problems we at JOI have seen over the years. Flashing is the shiny material installed over joints and seams on a roof to provide protection in potential gaps. When installed poorly, water can come through. What is more likely is that the extreme weather conditions, such as ours here in New Orleans, warp the flashing over time leaving vulnerable gaps. This faulty flashing can render the protection useless and end up costing you a lot more than a quick repair. Normal maintenance can help to spot faulty flashing early, before it causes any problems. Standing water can erode roofing materials more quickly than any other weather condition, so it is important to watch out for pools of water on your roof. If you find any, it’s a good idea to call in a professional to check to make sure damage has not already been done, and will prevent it from happening in the future. If you find yourself with leaks, then you potentially have much bigger problems. Once water has leaked through your roofing material, usually through faulty flashing, then it has also had a chance to damage the materials inside your building. This is the time to call a professional to help you assess and repair damages. Any punctures in your roofing will mean leaks or air entry. Either of these two things can lead to more damages quickly, so it is super important to fix punctures as soon as you notice them. Regular maintenance can also help to spot this problem. Blow-offs can happen in extreme wind, such as what we have during hurricane season, and can cause some portions of the roofing to lift. When this happens, more air is able to enter underneath the roofing and potentially into the building, creating a displacement of air pressure. This displacement is when the real problems begin, because it can cause more cracks and gaps throughout your roofing than the initial entry point. After a big storm, it is a good idea to call a professional for an inspection. You can notice blisters and ridges when roofing material is not properly installed. Sometimes it is not all that big of a deal and is simply a little bubble of trapped air. When the blister occurs over a lap, however, it can allow easy access to water and outside air where it should otherwise be sealed. This can eventually lead to a big problem! So if a blister is found over a lap be sure to get it repaired right away. Be aware of how much your roofing materials have deteriorated and replace any portion that no longer functions properly. This will help you avoid bigger problems down the road. This is definitely the most frustrating cause of roofing problems because we assume (and hope) that only professionals perform roofing installation. Even so, sometimes improper installation happens. Whether this leaves you with leaks, blow-off points, or quickly deteriorating material, you’ll be in trouble because your roofing will never function as you expect if it is not properly installed. Many business owners are not constantly thinking about the roof over their businesses. Who can blame them, there is a lot of other things to worry about. Though this is understandable, it can mean that a small problem turns into a nightmarish one because it goes unnoticed. Be sure to be proactive with maintenance to ensure your roof is in good working condition. Roofing is a bit high maintenance; we get that. We also get that you already have a lot of other responsibilities on your plate as you run your business. But don’t let that get in the way of having proper roofing for your commercial property. Get in touch with us today! 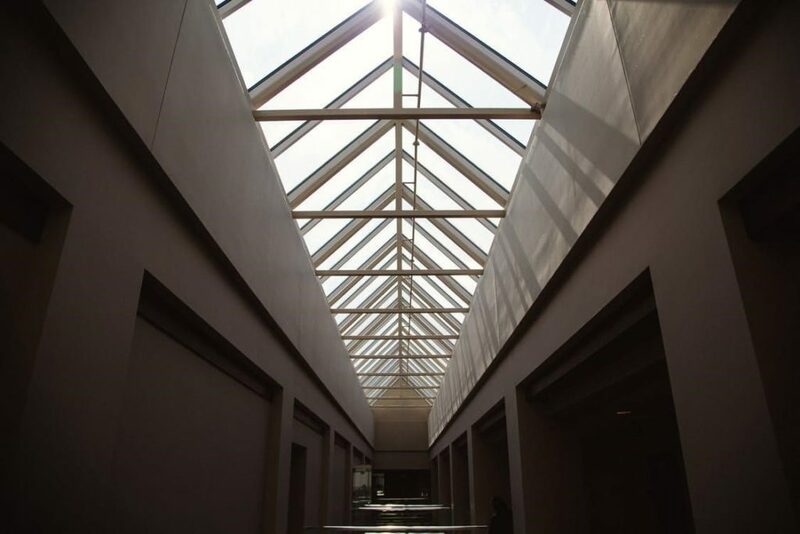 With our services, you will have peace of mind that your roof is not an impending threat to your business. Remember: An ounce of prevention is worth a pound of a cure!